We’re feeling incredibly proud with today’s announcement of EVRYTHNG’s partnership with Avery Dennison Retail Branding and Information Solutions (RBIS) that will see us bring at least 10 billion apparel and footwear products to market over the next 36 months as Web-ready physical products. Between Avery Dennison RBIS and EVRYTHNG, we’re building Active Digital Identities™ into products as they’re manufactured. As a Fortune 500 packaging materials leader globally, Avery Dennison RBIS labels and tags a significant proportion of the world’s footwear and apparel products as they’re made, working with many, many major brands. Now every product is capable of being born digital with software identities in the cloud, these brands can unleash a raft of new value with digital applications, experiences and analytics. EVRYTHNG was founded with a vision of every product in the world becoming a digital thing – physical products connected to the Web and participating in the digital application ecosystem. This partnership with Avery Dennison RBIS is a huge step toward realizing that vision in a very real way. As far as we can tell, this is the largest single number of physical things to be connected to the Web in a single event, and as such is a major milestone for the Internet of Things. But most importantly this partnership is about making it a lot easier for everyone who makes, sells, or uses footwear, apparel and accessories products to benefit from the application value of those physical things becoming digital. We’re building digital capability in at point of manufacture, so that every product now has its own unique digital identity and data profile in the cloud, can trigger and drive digital applications, and has the ability to share its data with authorized applications and services. We just made apparel things into Web things. 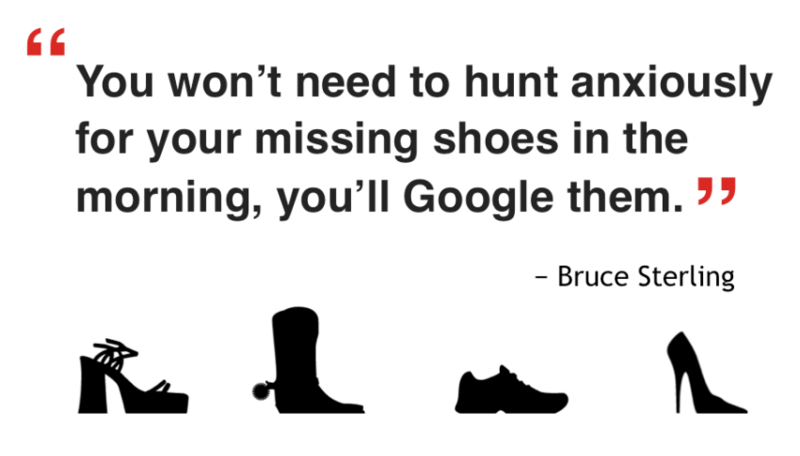 I hope Bruce Sterling will get a kick out of us realizing his vision of ‘Googling your shoes’. We’re now in a world where it’s possible for consumers to find out how products are made by asking them, to reorder something they like from the thing itself, to walk into a store and collect a product they bought online by ‘checking-in’ to it, to get advice directly from a product, and engage with the brand and community around the product. 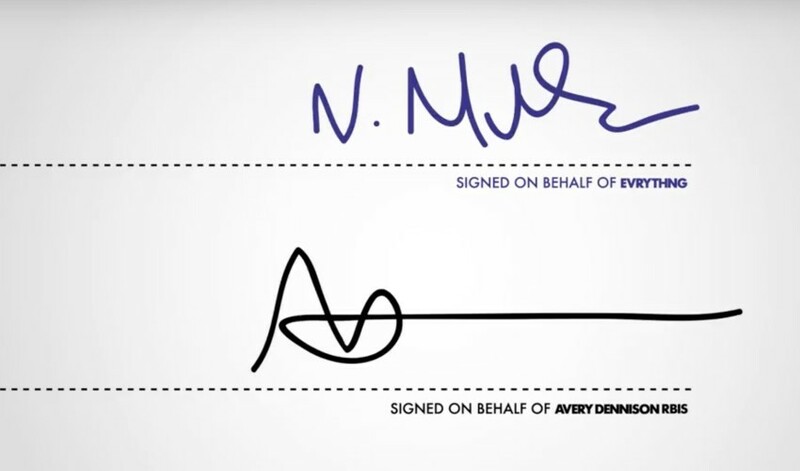 For product manufacturers, it’s now possible to authenticate products, follow them right through their lifecycle, and to understand more about where products are, who’s got them, what they’re doing with them, and how content drives interaction and sales. Information is power. At an industry level, this partnership illustrates a business model for how packaging and device companies can participate in the Internet of Things, accessing new revenue and application opportunities with digital capability. EVRYTHNG’s Active Digital Identities™ make it possible to give billions of items this digital capability that can enable value for many others in the ecosystem and down-stream in the value-chain. We’re excited to be working with Avery Dennison RBIS, and have other partnerships of this ilk in the wings. Watch this space. With billions of apparel and footwear items now Born Digital, there is an exciting challenge for designers to conceptualize and realize product experiences that are both physical and digital at the same time. 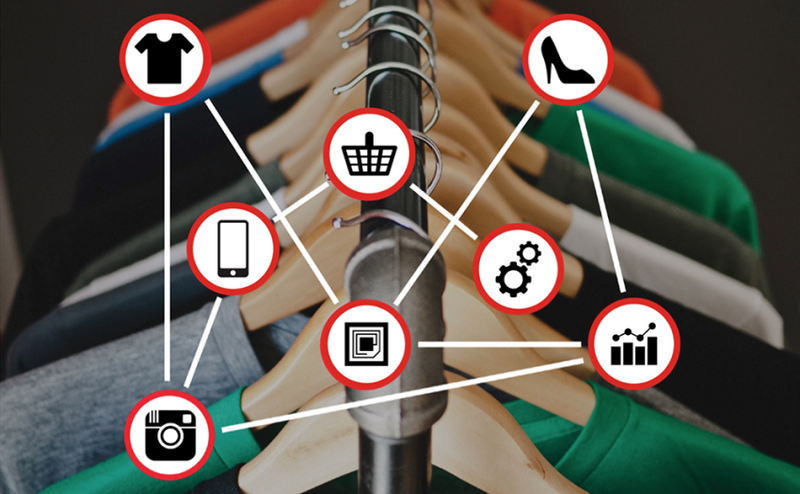 The scale of the enablement brought to the apparel industry by EVRYTHNG and Avery Dennison RBIS creates a critical mass, and the race is now on to see the most effective experiences and business application benefits. It’s nice to be able to make a bit of history every now and then. Looking forward to turning this milestone into an exciting future.